CPS Worker 006196 - Lord, Charles R.
Charles Lord secretly took photos when he was at Byberry (CPS Camp No. 49) which showed the poor conditions of mental hospitals at the time. Some of the photos he took can be seen at: A Mental Ward Exposed, NPR. Be sure to check out other reflections and stories from this CPS worker as listed under "Other Material." 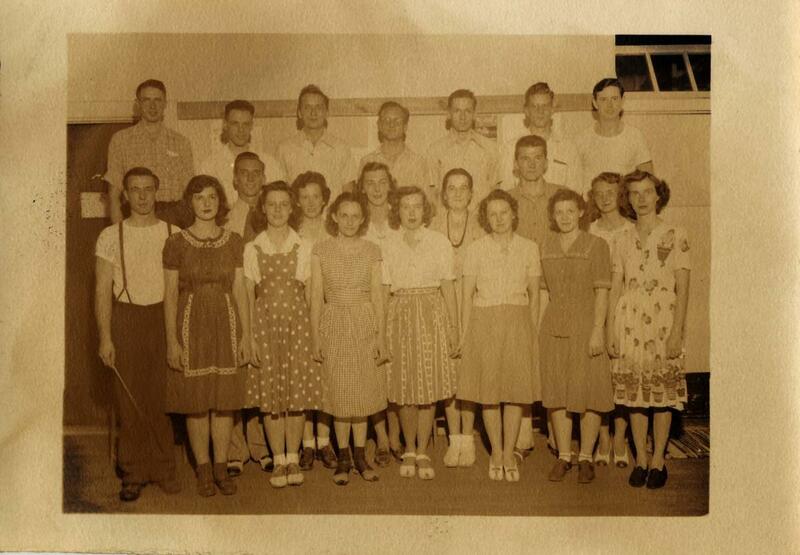 Chorus, Summer 1944. Walter Kirk, Tom Riggs, Charlie Lord, Bernard Lehman, Don Riggs, me, Harold Barton, Roy Simon (? ), Jane Terhume (? ), Marjorie Levissy (? ), Ruth Wandt (? ), Bob Reuman (?) Bob Steele, Ann Martin, Jean Riggs, Margarette (?) Riggs, Harriet Frakie (? ), Edith Farley, Grace G. Riggs, Ruby Kirk, Elann (?)Shrine. 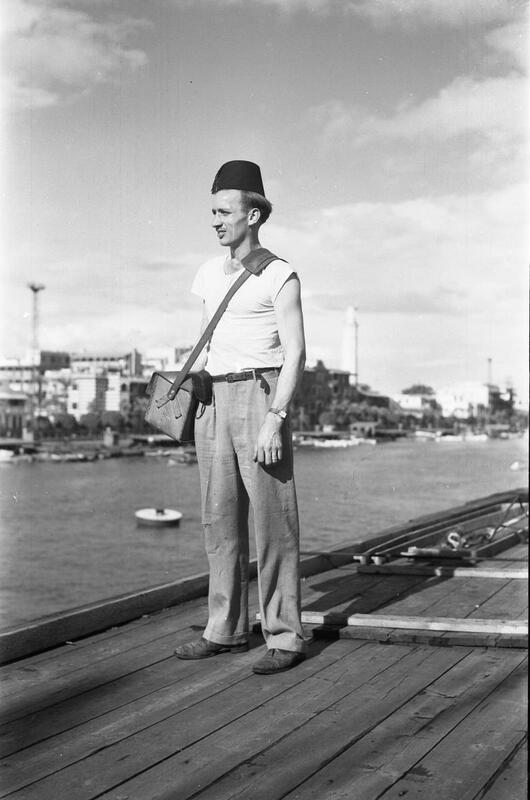 Charles Lord, a CPS worker and sea-going cowboy, at Port Said with fez hat standing on top of cattle shed. 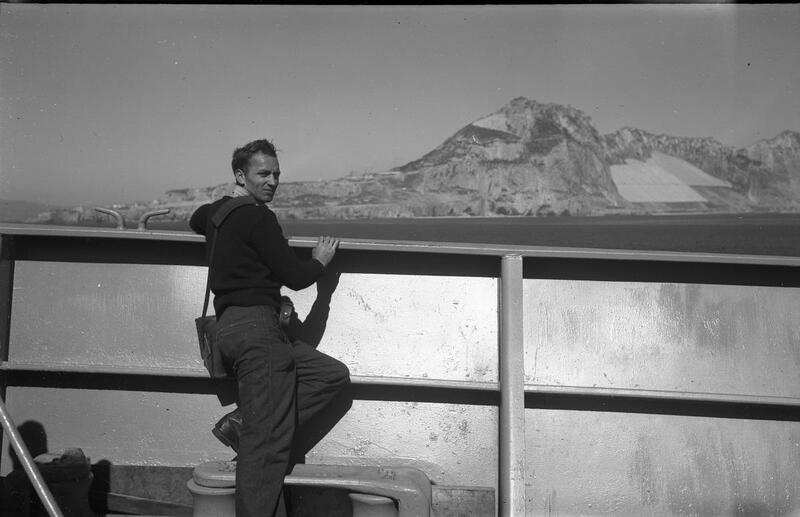 Charles Lord, a CPS worker and sea-going cowboy, looking out at Gibraltar.